So my band, Earthquake Jake, made it through its first two gigs this weekend. Enthusiastic crowds. On Friday night, someone inquired about hiring us for a Halloween party. Spyder, Kanga and A Librarian hung out for all four sets on Saturday. Thanks, guys! I also appreciated my sister, Zen Zone Chick, coming out and bringing one of her neighbors even though she was sick. Hope you can stay longer next time! The band sounded pretty darned good. There were a few minor mistakes, but no trainwrecks. In general, I was impressed with how tight we sounded considering that we've only had our current bass player for a few weeks. I learned how to set up the PA and lights by myself. The crowds were smaller than I would have liked. That was partly because the bars in question were a good 30 minutes outside of town. Still, I invited well over 100 people and it would have been nice to have seen more than four of them. I'd forgotten how unpleasant it is to play all evening in a bar where people smoke. All my carpeted speaker cabinets smell nasty now. The smoke plus my cold or allergies (or whatever it is I have) started to affect my voice by about the third set each night. On Friday night, we had to skip "Famous" by Puddle of Mudd at the beginning of the fourth set because it's really high and I didn't think I could hit the notes. We weren't able to use our full PA because either the crossover wasn't working or we didn't know what we were doing when we tried to hook up the sub. We'll have to get that figured out between now and the next gig. On Friday afternoon, I spent $96 on speaker cables alone. At $100 per night, it's going to take me months just to break even. We're taking break from band practice this week, but we'll want to learn another four or five songs fairly soon to beef up the sets. A couple of them were a bit short of the ideal 45 minutes, even though they each contained ten or eleven songs. With the impeccable timing I'm known for, I have returned from Las Vegas with a miserable illness. I'm not exactly sure what it is yet, but it appears to involve a sinus infection and tonsillitis. Of course, this wouldn't be nearly such a big deal under ordinary circumstances, but this week is NOT the time for me to have a sore throat considering that I have band practice every single night and then, oh yeah, TWO gigs this weekend for which I am singing 38 songs per evening. When I started feeling cold-y yesterday, I started with the Zicam swabs right away. I also added some multivitamin packs to my regimen and even drank some weird and slightly yucky "Throat Coat" tea. Today I feel worse than ever and I'm dying to get a look at my tonsils but can't seem to find a flashlight anywhere. Obviously I need to do whatever I can to fix this as quickly as possible. Looks like my lunch break is going to involve either a doctor visit or a trip to urgent care so I can get a strep test and procure whatever drugs are going to make this start getting better immediately. I'll cut this short because my eyeballs hurt...oh, and I have to shower and get ready for work. Heavy sigh. Hello all! BlogWorld Expo wrapped up yesterday, but I'm still in Las Vegas for one more day. It was great to meet a bunch of cool new social media people and touch base with old friends. I took copious notes at all the sessions I attended and I'll be posting them and links to the people I met when I get back. There's one thing about my trip this time that's different than previous trips to Las Vegas that I've taken: my feet don't hurt anywhere near as much as usual. I've still been doing a lot of walking, but because my footwear of choice these days is Converse Chuck Taylors, I decided to purchase some Dr. Scholl's gel insoles before I left home. I've always cringed at and made fun of the "Gellin'" commercials, so I'm here to say that I officially eat my words because my feet feel a zillion times better than I had any reason to expect. You'll never get me to agree that the phrase "Gellin' like Magellan" isn't completely stupid, but the product itself definitely works as advertised. Today my plan is to check my bags with the front desk and spend the day exploring and shopping. I'd like to see if I can find some good stage clothes for my upcoming gigs this weekend (Friday / Saturday). So far I've spent exactly $1 gambling (20 cents at a time in a penny slot machine - I was up to $5.20 at one point!) and I might go crazy and spend another dollar before I leave town. I'm looking forward to getting home to snuggle with the cats and sleep in tomorrow before I go back to work on Wednesday. More tomorrow! This is only the second post after my little break and I'm already cheating! Tsk, tsk. I picked this one up from Zandria. She'd cut some questions out from the original source, but I thought her edits were good so I'm leaving the list at nineteen, even though some of my answers are a little dull. I skipped school one time when I was in high school. My boyfriend lived about six blocks from my school (although, oddly, he went to a different school). We hatched a plan wherein I took the bus to school and then walked to his house. I'm pretty sure his mother was in collusion with us. Because I had such a reputation for being a goody two-shoes, I didn't even get in trouble for it. When the office called me in to ask about my absence, I just said, "Didn't my mom call you?" and they let slide. No, unless you count being there when various cats of mine were euthanized. 4. been on the opposite side of your country? I live right smack in the middle, but I've been to both coasts. 5. swam in the ocean? Yes, I've swum in the ocean in Florida, South Carolina and Jamaica. 6. had your booze taken away by the cops? No, but when I was a teenager, I remember groups of us getting rousted from our local park by the park police for being "too noisy." I don't think we were doing much drinking then, just hanging out and playing our car stereos. 7. lettered in high school sport? I am one of the least athletic people you will ever meet, but when I was in junior high school I struggled through two years on the track team. The first year, they put me on speed events such as sprints and relays, but I was too slow. Then they moved me to distance events, but I had no endurance. Shotput and other weight events were out of the question because I wasn't strong enough. On the third year, I stepped back and became a team manager, for which I received a letter. 8. played cops and robbers? Not specifically. My sister and I were more into playing with Barbies or Fisher-Price people. Yes, I'll sing karaoke on occasion. However, I generally try to stay away from it, not only because most karaoke singers are horrible, but because it takes money away from live bands like mine. 10. paid for a meal with coins only? Definitely! I've paid for gas that way, too, but not since I was in college. 11. made prank phone calls? I've never done the "Prince Albert in a can" type of prank calls, but my sister and I used to take turns getting on the phone with my boyfriend. Our voices are very similar and he couldn't tell who was who. 12. laughed until some sort of beverage came out of your nose? 13. written a letter to Santa Claus? I'm sure I did write a letter to Santa Claus at one point, considering that I have evidence of my correspondence with the Tooth Fairy. 14. watched the sunrise with someone you care about? No, I don't recall ever staying up specifically to watch the sun rise. 15. been kissed under the mistletoe? Yes, particularly because I tend to forget to take it down after Christmas. That hasn't happened lately, though, because I didn't decorate at all last year. No, but I've bailed people out of jail. 18. been skinny dipping outdoors? Yes, I was on the news once as part of a story about a science fiction convention I was attending. I was also interviewed for a basic cable show about cars when I was at an event with the local Porsche Club. Oh, and I was in a TV commercial for a car dealer around the time I was in junior high. Well, that was an interesting trip down memory lane. It's interesting that many of those things happened a really long time ago. If you decide to pick up this meme, leave a comment so I can read what you said. What Do You Know? It's Average Jane. I didn't intend to take a blogging break, but I'm living through one of those times when every day is pretty much the same and not really worth talking about. On top of that, I haven't felt very well for the last couple of weeks, so it got easy to let the blog (and Twitter, for that matter), slide a bit. So here's some miscellanea that covers the past several days. My cover band's new bass player is working out well and making the band sound tighter than before, even though he's just starting to learn the songs. We took a stab at setting up the PA at last night's band practice. Um, yeah. I'm glad my husband has a friend who used to work as a professional sound man. We're going to need to consult with him on a few things. 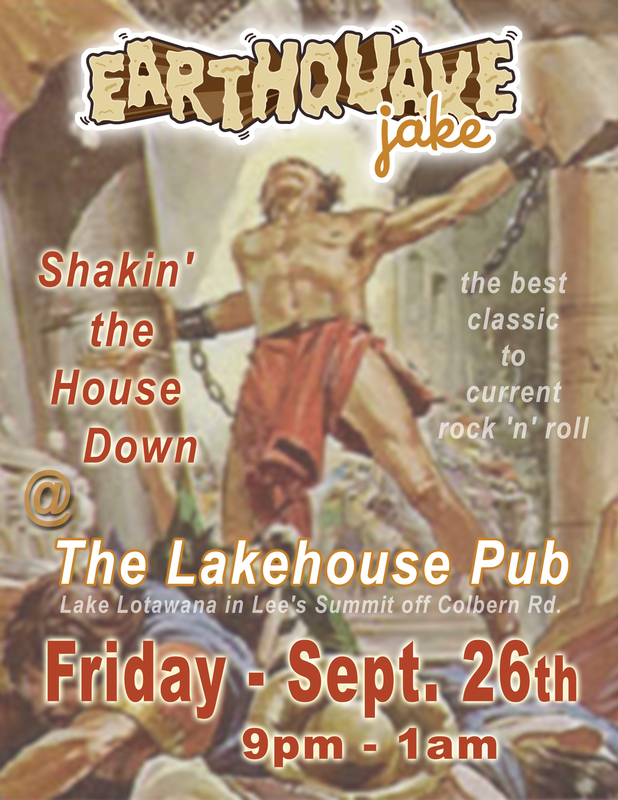 I guess it's not too early to start promoting my band's gig on September 26th. You'll find a flier here. It's a small club, but we're hoping to pack it pretty full, particularly because we're already booked there again in October. In household news, we got a bid from the contractor for the remodeling of our guest room, repair of our garage ceiling and removal of the ivy that's taking over our deck and garage. It sounds reasonable, so I think we're ready to accept it and get started whenever the crew is available. Now I just need to choose colors and materials and start thinking about furniture. I'm really enjoying the fall weather - I think it may be my favorite season. My sister and I went shopping in Parkville last weekend and decided that we need to make a point of attending some Oktoberfests this year with my niece and nephew. The Applefest in Weston is always a good one. Mmm, apple turnovers with vanilla ice cream! The autumn chill is also putting me in the mood to cook heartier food. It's about time for bierocks and I can sense a batch of minestrone in my near future as well. In fact, I may make minestrone on Saturday evening for the attendees of a board game night I'm having. I tried to organize a spur-of-the-moment game night last Saturday, but didn't manage to round anyone up then. I'm hoping to have more luck this weekend. Well, I think I've rambled enough. Have a great Wednesday and we'll assume this marks my return to a regular posting schedule. As part of our creativity symposium at work today, Stanley Jordan performed and spoke about creativity in terms of music. I've been a fan of his since his first album came out in 1985, and watching him play live was nothing short of amazing. Enjoy his jazz-flavored performance of Led Zeppelin's "Stairway to Heaven:"
Last night we auditioned our rhythm guitarist's brother to take over on bass. I've known him since we were both teenagers because he played rhythm guitar and sang in a band with my mom back then. Long story short, it looks like he's going to work out great. He'll to have to hustle to learn all the tunes in just a few weeks, but he's willing to put in the effort. If you're in the Kansas City area and I haven't already invited you to the "Sleep is for the Weak" book signing with my friends, editor Rita Arens of Surrender, Dorothy and contributor Kelli Oliver George of Rancid Raves, it's tomorrow (Thursday, September 4th) from 6:00 to 8:00 p.m. at the Barnes & Noble store on the Plaza. Here's the Facebook fan page with other cities' signings listed. Help support your local bloggers! I'm going to keep this short because I'm heading into work early today and will no doubt be there late. My company puts on an annual two-day creative symposium where the office shuts down and everyone goes to an auditorium to hear interesting speakers and presenters discuss creativity. This year's symposium begins tomorrow, which means I have to finish my week's work today. Have a lovely Wednesday (can you believe it's Wednesday?). Talk amongst yourselves.